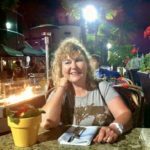 Mango Travel was founded in February 2013 by Elna Tempelhoff, bringing with her a wealth of knowledge gathered over 39 years in the travel industry. Taking off with South African Airways 30 years ago, there were many stops on-route, visiting more than 23 different countries in Europe, America (North & South), Africa, Asia and Australasia. Elna managed, conducted, promoted and marketed her own tailor made groups and have travelled as tour leader and guide to various places around the world with groups of up to one hundred participants! Elna also has significant experience in arranging conferences and incentive programs and throughout her career has been a public speaker at several events, leading workshops and presentations to large groups. Having a real passion for travel, Elna enjoyed sharing her experiences as a Senior Tutor and Head of Studies at one of the largest Travel and Tourism Colleges in New Zealand, Sir George Seymour. Fellow founder and born n bred wanderlust traveller Elna’s son Bill, joined her full time in Mango Travel at the end of 2013. Bill comes from a public administration and enforcement background but settled into the role of travel consultant quickly after having grown up in the industry and flying his first international flight at the tender age of 10 weeks old! 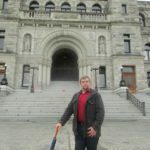 Today he still enjoys working with clients and leading taylor made tours but his real passion lies with marketing, the behind the scenes nuts n bolts stuff and securing our client’s have access to the best travel deals available in the market. As part of our vision to offer our clients superior service as well as access to the best prices we joined NZ Travel Brokers in 2016. 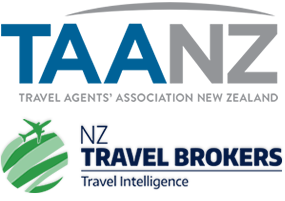 NZ Travel Brokers offers us a dedicated internal support team, access to the best available prices and are bonded by the Travel Agents Association of New Zealand, which gives our clients the necessary peace of mind. I consider ‘excellent customer service’ as a vital ingredient in any role I undertake, ensuring that I understand the needs of my corporate and leisure customers. I have excellent attention to detail to ensure every aspect of the booking process is complete. I have wide experience in international and national, corporate and leisure travel in New Zealand, South Africa and throughout the world. You can feel confident in contacting me or anybody at Mango Travel to start your next travel affair anywhere, anytime. We will offer you the most professional service possible when you book through us…guaranteed!